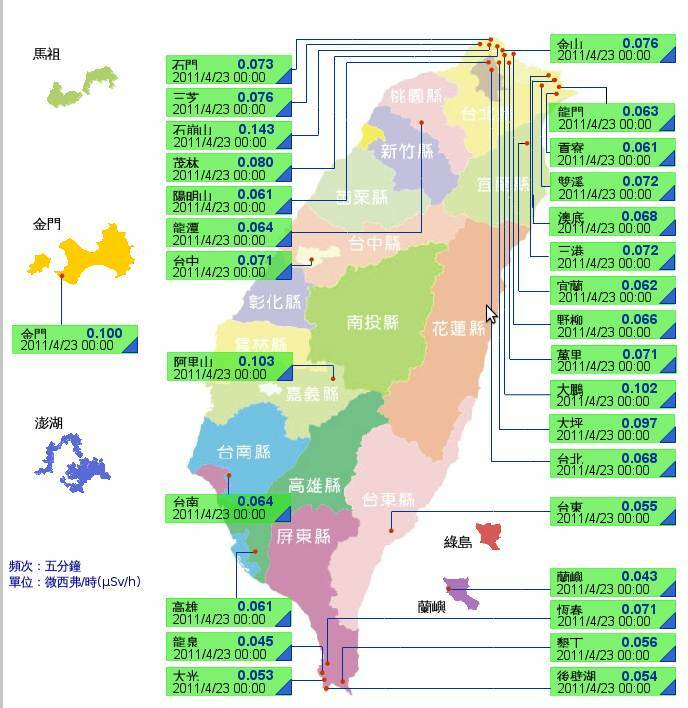 Monitoring stations around Taiwan show noticeable spikes in radiation levels measured all around the island. Some radiation levels measured were twice as high as normal. 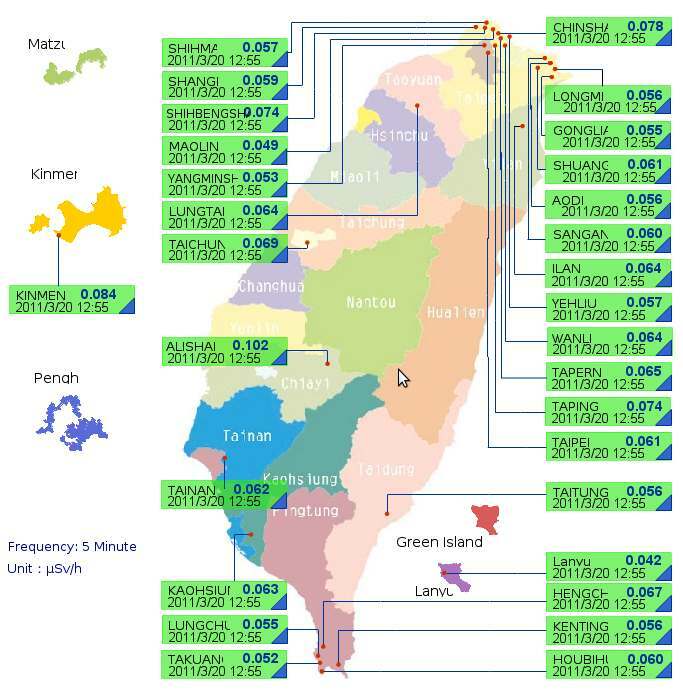 On the left is a screen-shot taking from http://rmsp.trmc.aec.gov.tw/user/taiwan_out.asp?c2e=e a government website. This website has been inaccessible since the first fallout hit around April 3rd. The other screen-shot is from the Atomic Energy Council http://203.69.102.242/gammadetect.php which is still available today. This graphic showed some noticeable rise in radiations. It should be taken into consideration that there is a difference between background radiation and radioactive fallout. While twice the amount of background radiation should not cause any threat to human health, the intake of radioactive isotopes does.